Universal Studios Japan has released a video preview of its Super Nintendo World attraction, due to open in 2020 ahead of the Summer Olympics in Tokyo. A vibrant view of the Mushroom Kingdom awaits in a concept video for Universal’s Super Nintendo World attraction. The trailer coincides with the official commencement of construction work at the site of Universal Studios Japan in Osaka, less than three hours’ train ride from Olympic host city Tokyo. A computer-generated Mario greets human guests before leaping and jumping around a CGI environment that looks like it was lifted from one of Nintendo’s many Super Mario games. 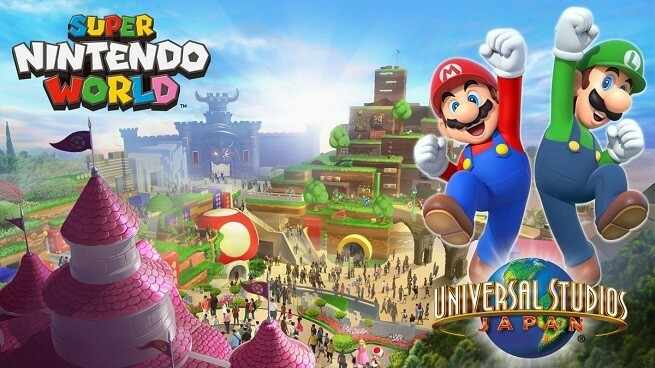 Though details are currently sparse, Universal’s video description confirmed that a Mario Kart experience would form part of the Super Nintendo World attraction. Nintendo and Universal Parks & Resorts announced the project in 2015, and this Osaka attraction is expected to become the first of several as the idea is exported to other Universal theme parks. In a similar manner, another licensed Universal Parks & Resorts attraction, The Wizarding World of Harry Potter, opened at Universal’s Islands of Adventure location in Orlando, Florida in 2010, before its centerpieces were replicated at the larger nearby Universal Studios park and in Osaka in 2014, before arriving at the Hollywood site in 2016. Roger Scoble blogs about the latest gadgets, travel and luxury news. A graduate of UCLA, Roger loves to travel, drive luxe autos and have amazing adventures. Follow author Roger Scoble on Google.